Happy Monday! 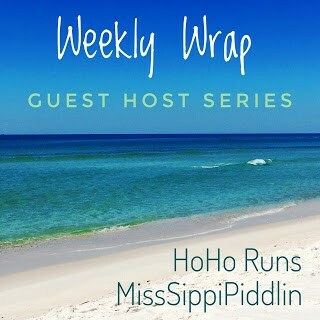 It’s time for the Weekly Wrap with HoHo Runs and MissSippi Piddlin, with guest host Heather! Guys, it is on like Donkey Kong. School starts this week. We are still getting things going at the new school and I have been rather involved at the ground level with that. In addition, scouting is right around the corner, so I spent time with that. My run got derailed big time by a torrential downpour. It was an absolute mess, and while I have been good about heading out in a sprinkle, this was just too much. I rolled over and tried to go back to sleep. In the afternoon, we met some friends and their kids at Rebounderz. We bought all the kids four hour passes that included unlimited jumping, bowling, laser tag, a $5 arcade game card and a few other things. The adults hung out with cocktails and appetizers, while the kids jumped and played. It was the most brilliant way to spend a day, and we agreed that we would go ahead and make it a monthly occurrence. Afterwards, we had dinner together at a pizza place, and went home full of good food and laughter. Much as I hated it, I rolled out of bed early to make up for my weekend shortcomings. On the plus side, I earned my Pheidippides medal for the Run Rock ‘n’ Roll Summer Strides Virtual Run Series, so that made it a little more fun. Work was absolutely insane and I was very grateful to get home. We had our first big PTA meeting at a local restaurant, so I was able to meet the wonderful volunteers with whom I will be working over the next year (or two). We have a lot of great ideas, but there is lots of work to be done, too. Back to back runs are never my favorite, but sometimes, they must be done. Another day of work, and I was glad to come home and just chill with the guys. Wednesdays have been pretty quiet. I was glad to be able to get some things done around the house. It was an early, early morning for us. We had the Teacher’s Welcome breakfast at the new school, so I had to drop little man and my friend’s house (the school is still technically a construction site! 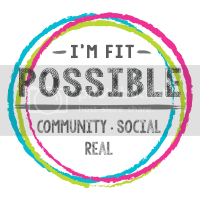 ), grab same friend and head over to help serve and pass out all the fun PTA info. We are getting our groove, but we have a good team. That evening, I had a birthday dinner with some girlfriends. We went to Hawkers, which serves Asian street fare. It was beyond yummy, and now I’m craving roti and meatballs in curry gravy. Sigh. One more four miler for the week. I can’t imagine why I was a little dehydrated, but I got it done. Mr PugRunner took us all out for breakfast at Maple Street, and we had some awesome family time. My friend in the next neighborhood hosted a mom’s back-to-school party that night, and we had a blast with delicious appetizers and cocktails Not even the lightning storm that sprang up could deter us from a fabulous evening. I wasn’t feeling up to too much on Saturday. I had to make one trip to the grocery store, just because our plans changed and little man and I would be hosting a friend and her two daughters for homemade pizza and extra chocolatey dessert. (Mr PugRunner would be heading off to a concert). Prior to that, we went to little man’s best friend’s birthday party. It was tons of Lego, pizza, games and candy, and obviously, everyone had a blast. We really couldn’t have asked for a better day. I confess. I am overwhelmed and slightly scattered. I know that things will fall right into place as soon as school starts, so I am just holding on until then. And yes, I would like to get back to the gym big time. 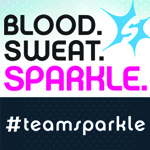 I miss boot camp and spin, but I desperately need a more consistent schedule before it happens. Are you experiencing any end of summer craziness? Hang in there. We have another 4 weeks until school starts here. I’m back to work tomorrow after 2 weeks off, going to be hard getting up at 6am! Summer is making me tired too! So much fun, so little time! Summer is definitely exhausting, partly from trying to make sure that I make the most of everything associated with summer. But I wouldn’t have it any other way. I online-registered our youngest daughter (last week) for the last time ;-( I don’t understand how that has happened…it wasn’t that long ago I was hauling all three kids to three different schools every morning. I did many years of PTO duty at their various schools. It was crazy busy, but I had the flexibility with my time, and felt a small sense of obligation. You are not alone in the Donkey Kong aspect of the week! I’m in a back to school fog as well. Why do they need to go back so early in August?? Wow, you had some awesome eats this week! I know I should focus on your runs, but it’s almost dinner time …. School doesn’t start around here for a few more weeks. Oh girl, I’m scattered all over the place. School can’t start soon enough! It totally think it’s easier to train when your life is following a more structured schedule. I bet school staring will help a lot! I also did the RnR virtual run last week. I can’t wait to get the medals! We just started school but it was so hard before! Hang in there! Sounds like you are holding it all together pretty well…and having lots of fun doing it! Have a great week. What a fun-packed week you had! Yes, things will settle down with the start of the school year. Sometimes it’s nice to be back in that routine! The start of a new school year is always stressful, so I can only imagine with it being a completely new school! That’s awesome that you’re so involved though. Nice work getting all those miles in despite the craziness! I’m back at work this week after an awesome summer break so my training is in adjustment back to a less time to run routine.